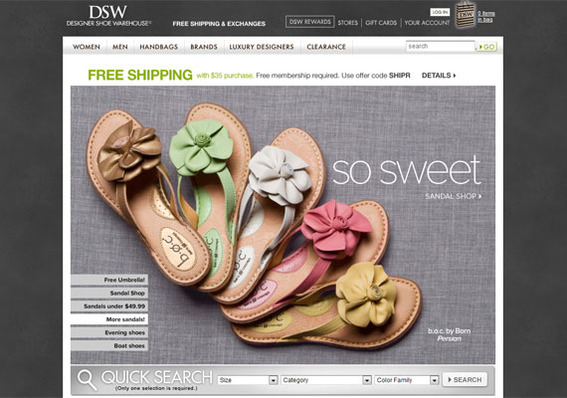 Ecommerce websites should inspire trust, engage customers, and make it easy to shop — ultimately leading to more sales. Unfortunately, too many online stores fall short in one or more areas. In this article, I am going to describe six things consumers — including me — hate to find on ecommerce websites, and why you should avoid these problems in your own store. Research has shown what should be obvious to every online merchant. Many consumers will not buy from websites that they do not trust. What’s more, site aesthetics — how good your web store looks — may be the single most important factor contributing to how shoppers judge your company’s professionalism and trustworthiness. A study from Stanford University (available here as a PDF) showed that 42 percent of folks did not trust poorly designed sites, and that study was conducted nine years ago. Let’s put this to the test. 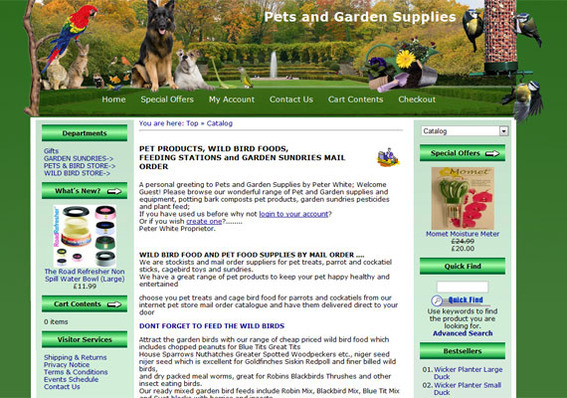 Here are two examples of pet supply stores. Which one of these would you trust with your credit card information? This site features dated design, and a bland layout. Here is a more modern and visually pleasing design. Next up are two shoe retailers. Again, which of these sites are you more likely to trust? 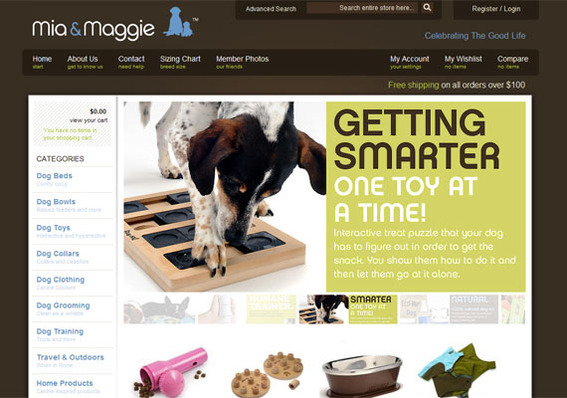 Consumers hate poor site design on ecommerce sites, and so do I. Take the time to build a nice looking store. Consumers never want to hear from your customer service — no chat, not phone calls, not more than one or two emails — unless they are having a problem. Then they want to be able to reach you right away. After poor site design, I — like most consumer — hate ecommerce sites that make me hunt to find contact information, or that make me step through a series of frequently asked questions before listing a phone number or email address. Also, a 2009 comScore study found that 22 percent of shopping cart abandonments were due to unreachable customer service, where shoppers wanted to ask questions about checking out and couldn’t. In short, place your contact information or contact form on every page of your site. Zappos has contact information at the top of every page. I hate endlessly paging through product grids and I suspect so do most consumers. Unless you sell fewer than ten different items, provide me with a means to sort and filter category pages and search results. Put another way, layered and filtered navigation is a must have for every ecommerce site, since it just makes it a lot easier to find just the products I want. 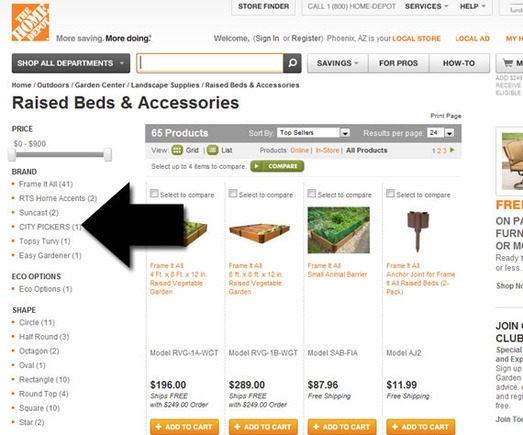 Home Depot gives online shoppers a way to filter category pages. Closely related to my disdain for sites without sorting or filtering capabilities are online stores that don’t give me a search option. Don’t make your visitors click through your site’s product hierarchy, when they could have gone directly to what they wanted via a search. BedBath Store puts its search bar in the center of the header where it is easy to find. Most consumers hate it when ecommerce stores force them to register or log in to make a purchase. If they want to check out as a guest, let them. If you need more proof, eConsultancy, the publishing and consulting firm, reported in 2010 that as many as 20 percent of shopping cart abandonments were due to forced registration. Let users opt not to register. Finally, I hate typographical errors — in part because I am so prone to commit them. I am the king of typos. Just ask the folks that edit my articles. I have had the problem since I was a kid. I was once told it was because my fingers could not keep up with my brain, and since that seems to make it sound like my brain is pretty fast (or that my fingers are pretty slow), I’m running with it. Here is the bottom line, don’t make me or any consumer check your spelling or grammar.